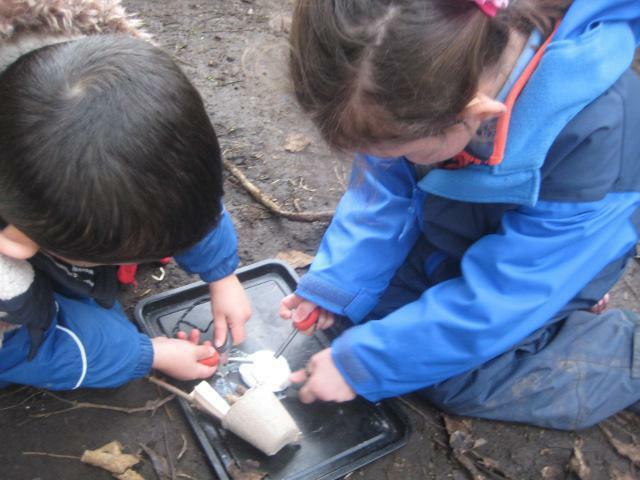 As the weather turned colder the children turned their thoughts to things that we could do to keep warm, 'put on your gloves' and 'have a fire'. 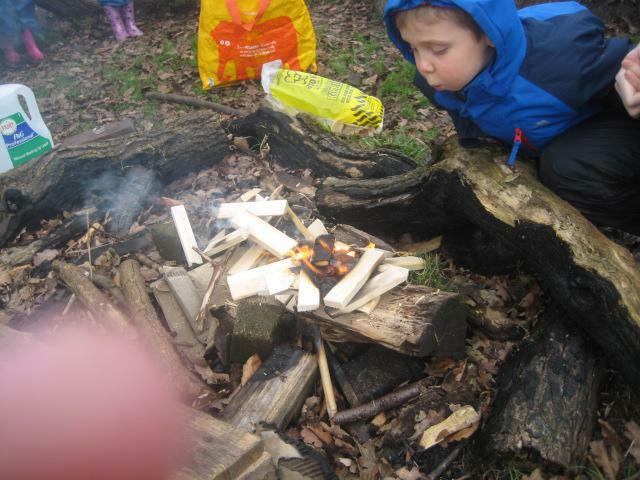 The Explorers used fire sticks to create sparks, they looked at the problem of most of the leaves and sticks being too damp and therefore unable to catch alight. 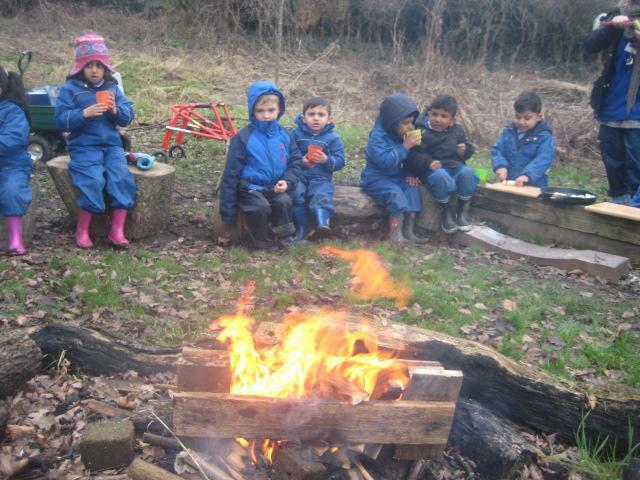 The children collected materials for the fire to bring back to school to dry ready for the fire. 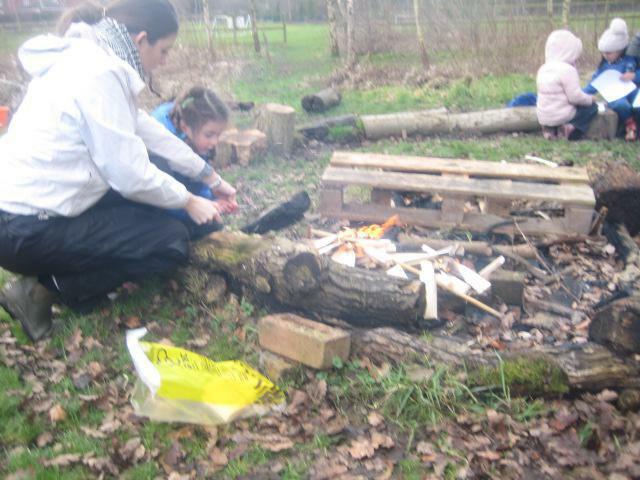 The Explorers made a fire starter pot using dry leaves, cotton and dry sticks cut down to size. 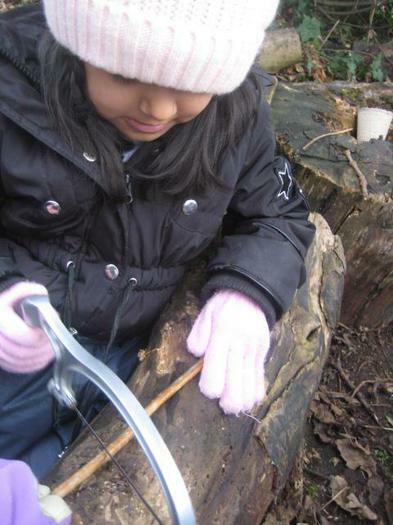 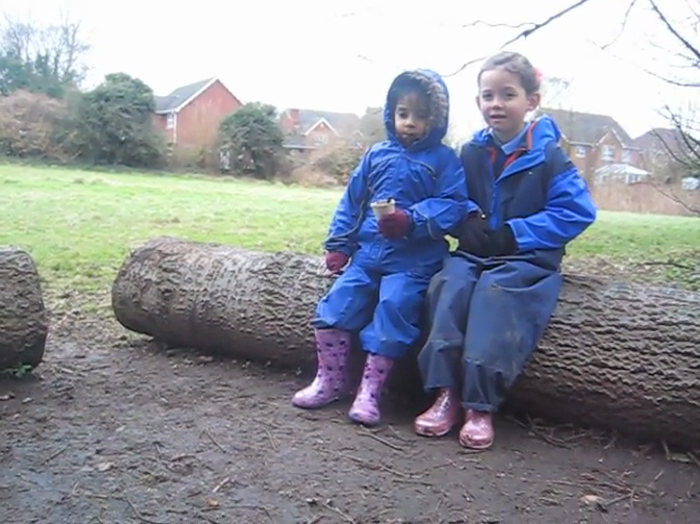 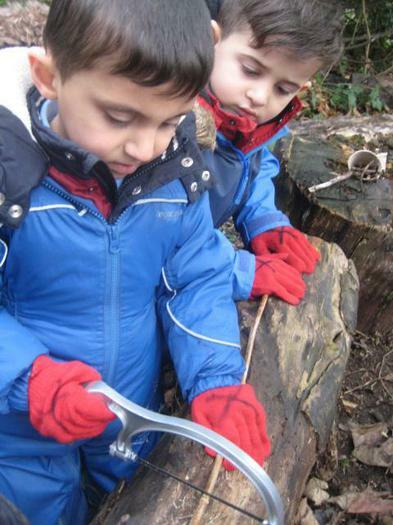 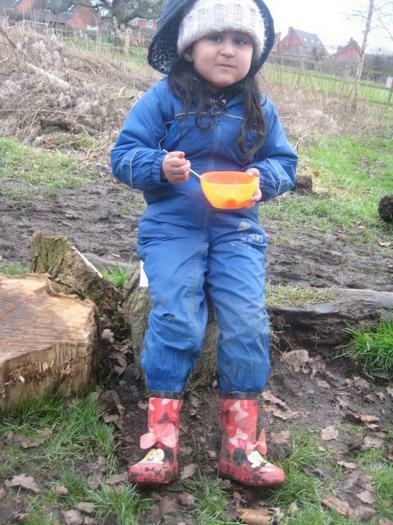 The children were supported 1:1 to use a hack saw to cut their sticks to the correct size for their fire starting pots. 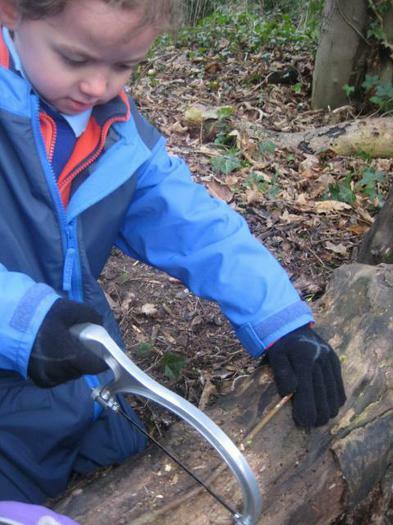 The children showed care and consideration for their and others safety when using tools. 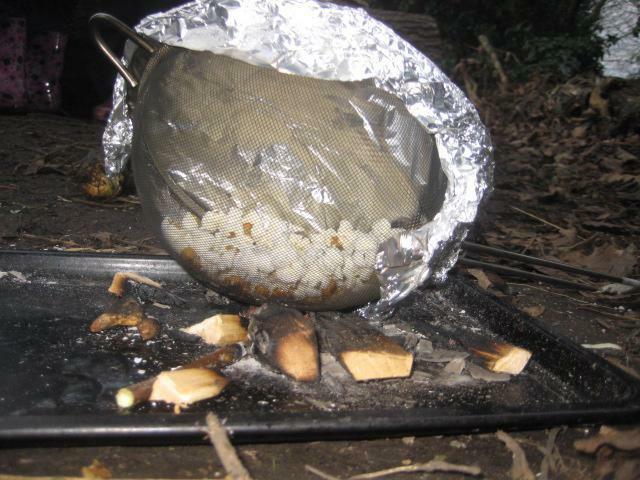 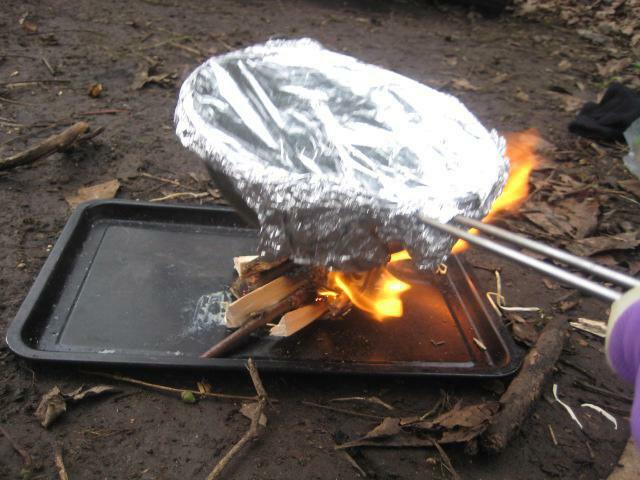 The children enjoyed cooking popcorn over the fire, listening out for the popping sounds and joining in with them. 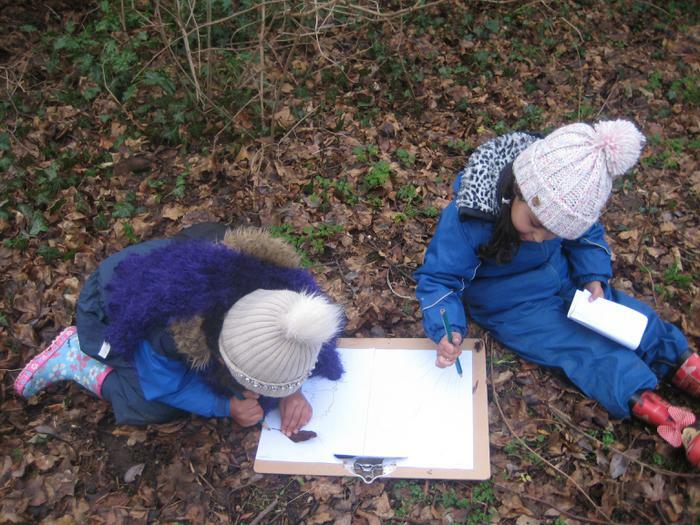 The Artists worked on a collaborative project trying to capture Squirrel School and bring it back to the classroom. 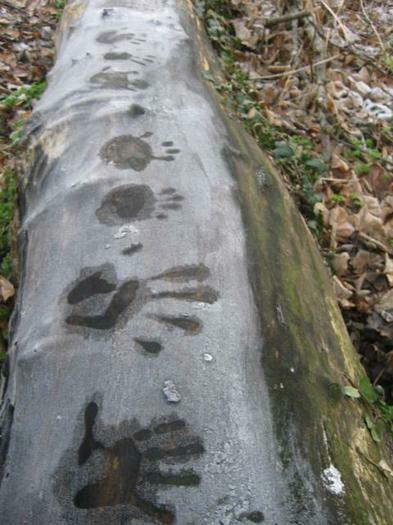 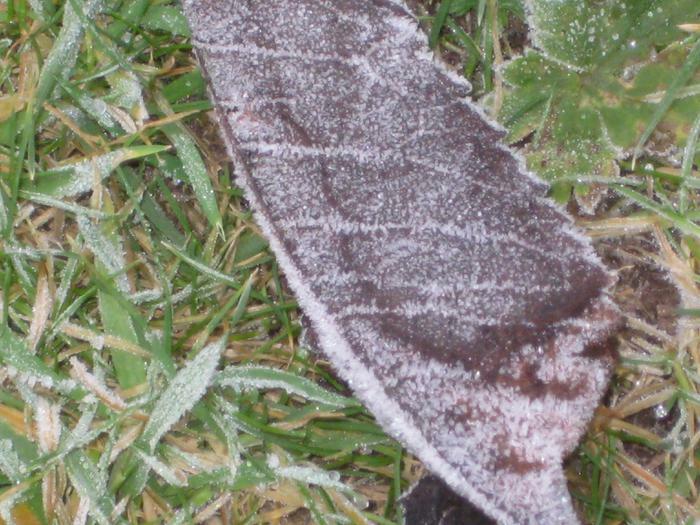 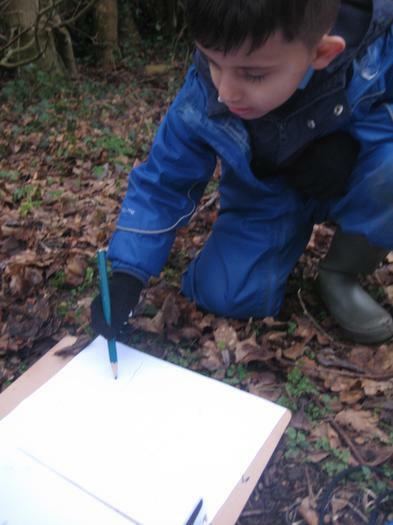 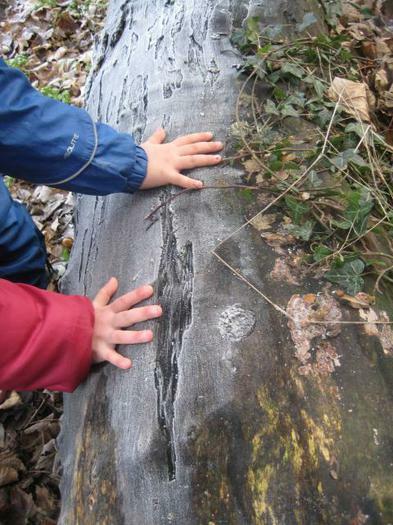 The Artists used digital cameras to photograph and sketched their view of the woods at Squirrel School. 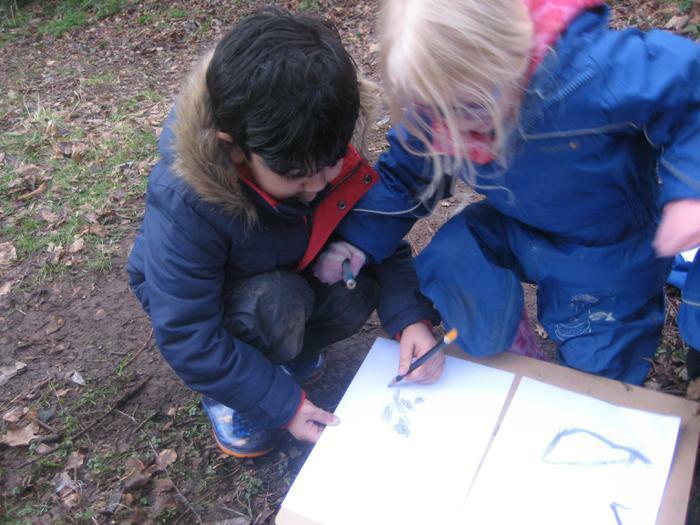 They collected natural resources such as moss and bark and created their own mud paints using natural pigment from mud and foliage. 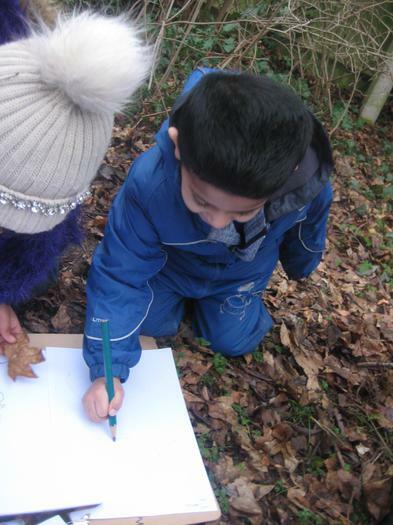 The children pulled all of their ideas together to create a mural that is displayed for all to enjoy in the classroom. 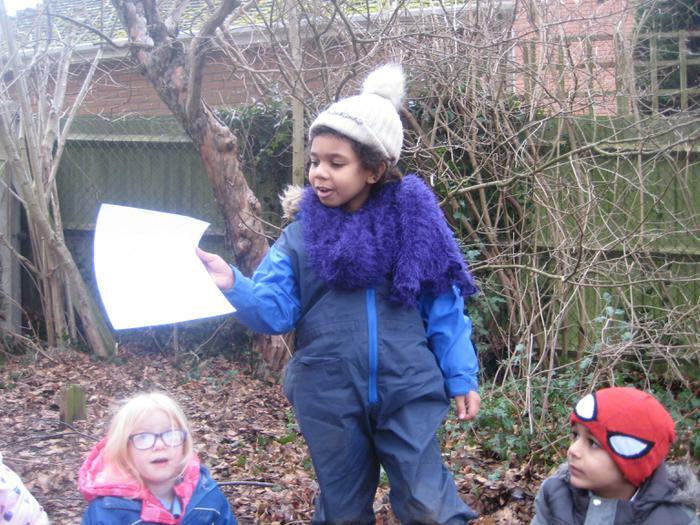 The whole class came together in our fourth week to share the work that they have been doing in their groups with the rest of the class. 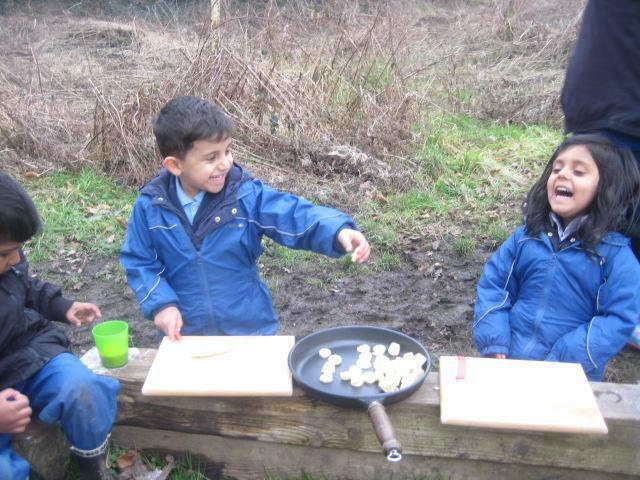 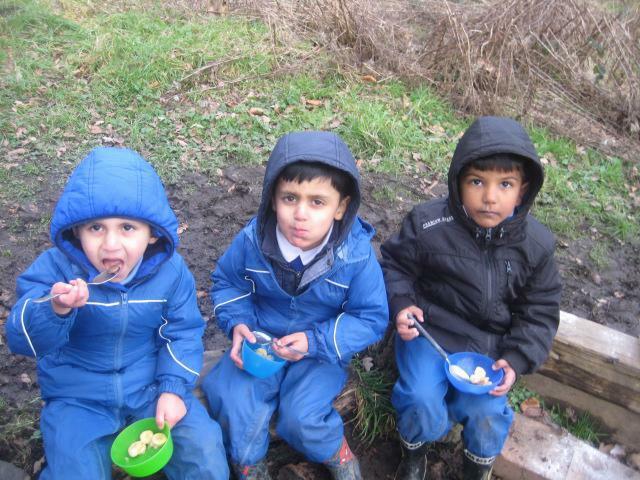 The Explorers shared a meal of caramelised bananas and freshly popped popcorn with the rest of their class. 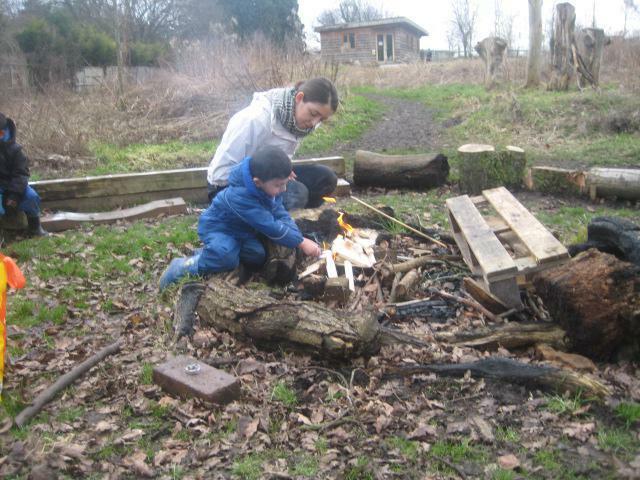 The Storytellers shared their story and the children enjoyed talking about the sounds and shapes that the fire made.